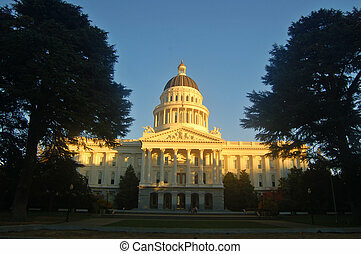 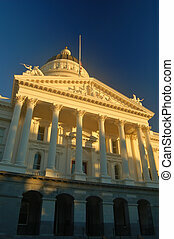 California capitol building in sacramento illuminated by the evening sun. 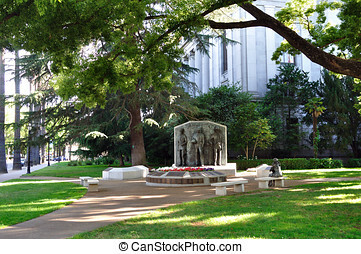 A courtyard in the California Capitol area, Sacramento, CA. 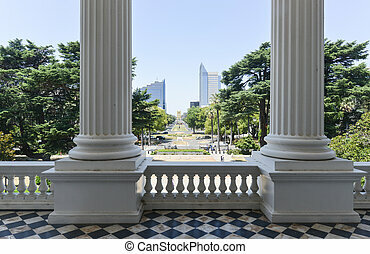 View from the California Capitol Building, Sacramento looking unto Lincoln Highway. 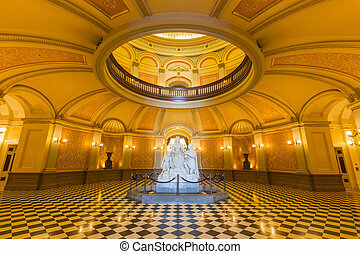 Editorial view of the California State Capitol rotunda. 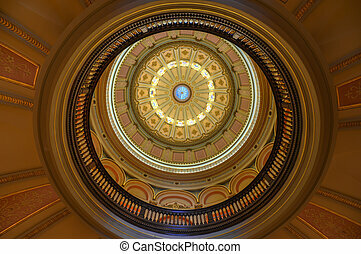 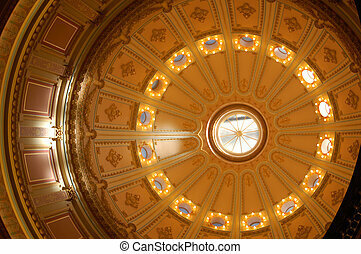 Rotunda of the capitol building in Sacramento, California. 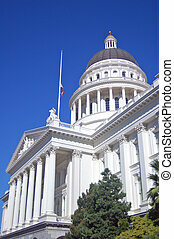 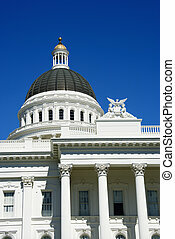 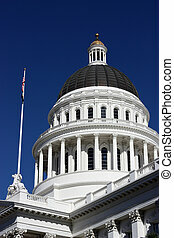 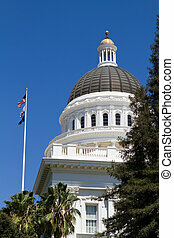 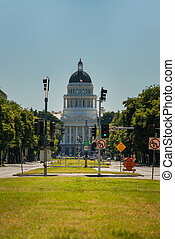 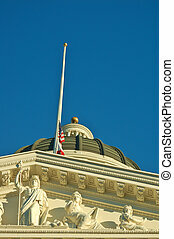 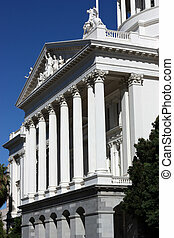 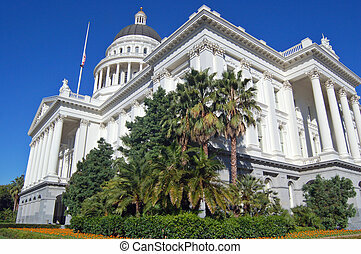 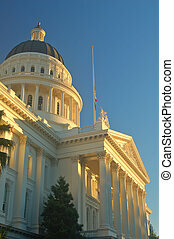 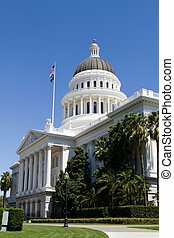 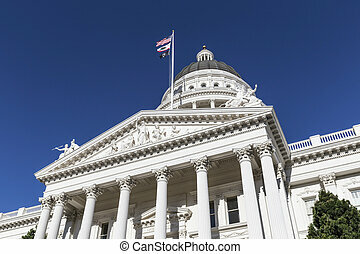 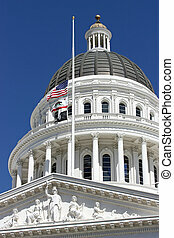 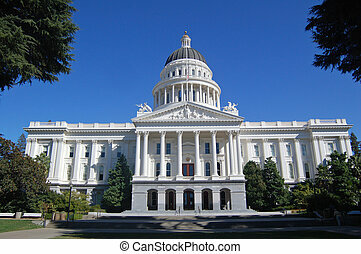 Close-up of the Sacramento Capitol building, California, USA. 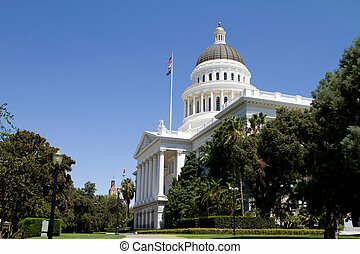 California state capitol building with dome located in Sacramento, CA. 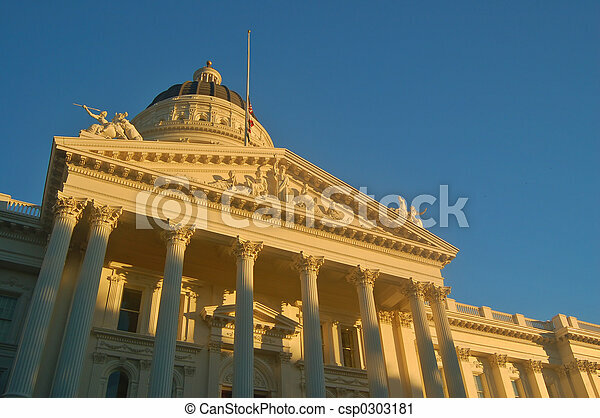 California state capitol dome and flags against a blue sky. 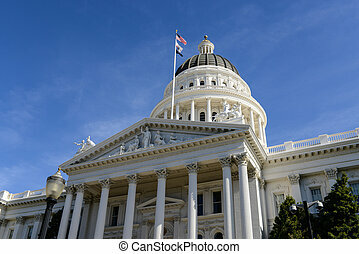 California state capitol and grounds with flags against a blue sky. 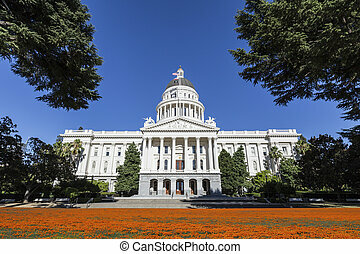 California state capitol building with poppy field. 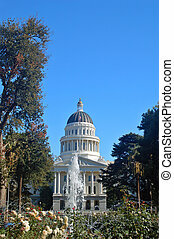 Capitol building in Sacramento with a fountain in front. 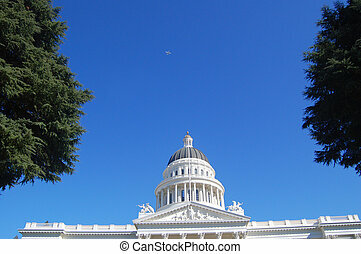 The Capitol Rotunda in Sacramento with a corporate jet flying overhead.